How did you get into studying History? I always enjoyed studying History at school; it was one of my favourite subjects. I love how history enables you to enter a different world, whether an earlier period in Britain, or elsewhere. I was fortunate enough to have a fantastic teacher throughout high school, who brought history alive in fun and interactive ways. We were given some fascinating projects, which included working collaboratively to create an Elizabethan magazine, independently researching the Plains Indians, and creating drama performances on women’s suffrage campaign. I also love historical dramas, and often wish I could travel back in time to experience historical events firsthand…Anyway, it was in my late high school and early college years, that I developed a particular interest in women’s history. My interest in the work of the Women’s Land Army began from reading one line from a textbook, on how women worked on the land during the Second World War. Reading books, watching documentaries, and TV series has only sparked more curiosity in the work of Land Girls and Lumber Jills. Why did you choose to study History as an undergraduate? After continuing with History at A Level, I always knew that I wanted to take it further. College gave me my first glimpse of historical debates within the context of the British policy of appeasement towards Germany in the 1930s. I love the challenge of coming to grips with the arguments of different historians and crafting my own response to a popular field of historiographical research. This is something I certainly didn’t want to leave behind. I didn’t take a conventional route into History at degree level. Before studying at university, I took three gap years, running a business centred around the management and evaluation of environmental education programmes and website design. This gave me more time to develop my website on the Women’s Land Army, as I linked with academic and nonacademic individuals who were interested in this period. As some of you might know, I’m currently studying at Lucy Cavendish College, Cambridge, the only women’s college in Europe exclusively for students aged 21. I didn’t originally apply to Lucy, but was offered a place after being pooled, and it’s turned out to be the best fit for me. Coming back to study has been refreshing, yet challenging, and those gap years after college helped me to identify my interests and goals. What do you plan to do after finishing your degree? Yes, that’s the million-dollar question every undergraduate faces! To be honest, I’m not entirely sure. Part of me would like to enquire into Master’s programmes, and part of me would like to dive into writing a popular history book. I would also love to work on my business, maybe expanding it to include educational history programmes. I’m just over half way through my degree though, so there’s still some time to decide. Now that’s even harder. There’s one thing about being a historian, in that it’s difficult to make up your mind without weighing up all of the options. For the sanity of my readers, I’ll spare you my internal thought process and plump for ‘if it is to be, it is up to me’. My high school science teacher had this quote up on a noticeboard in his lab, and I guess those words have always stuck with me. Favourite (or most personally significant) historical figure? More difficult questions?! I’ll be honest and admit that I had to come back to writing this question after giving it some thought. 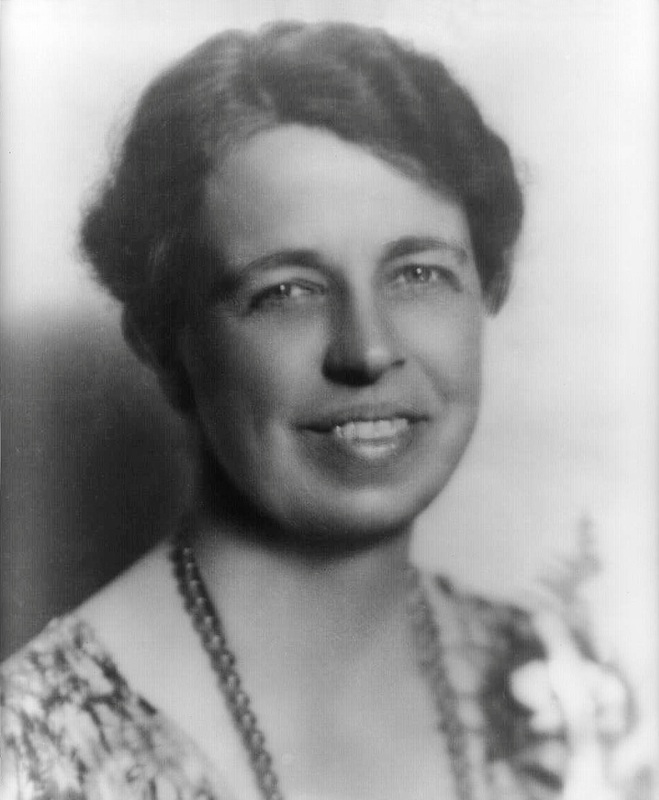 I very much admire Eleanor Roosevelt, the longest-serving First Lady in American history. She used her position, power and privilege to support a wide variety of reforms to increase the rights of African Americans, Asian Americans and Second World War refugees. She also argued for greater opportunities for women in the workplace. She did all this whilst supporting her husband Franklin, helping him to continue his political career despite suffering from polio. She was a truly remarkable women in so many aspects of her life. Previous story From Retail Banking to Museums: What is Valuable Work Experience?